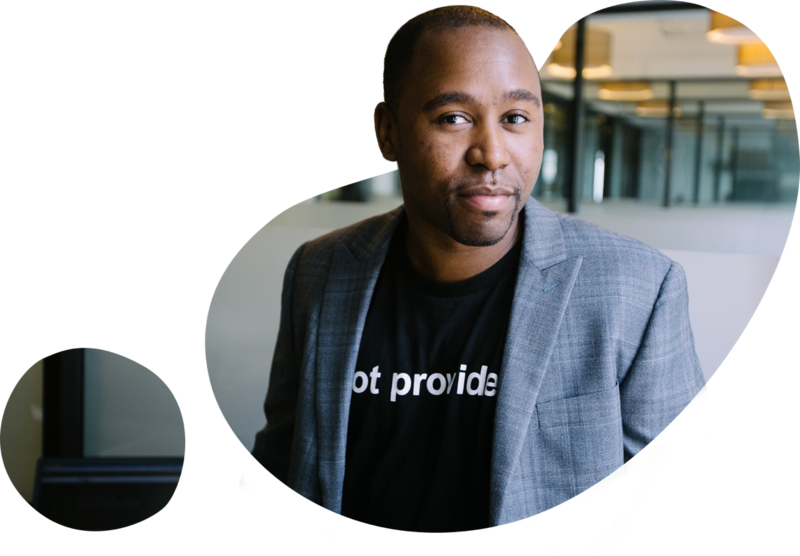 We're giving SEO stakeholders the data, tools, and diagnostics necessary to create and maintain high quality digital assets for search engines and voice assistants. 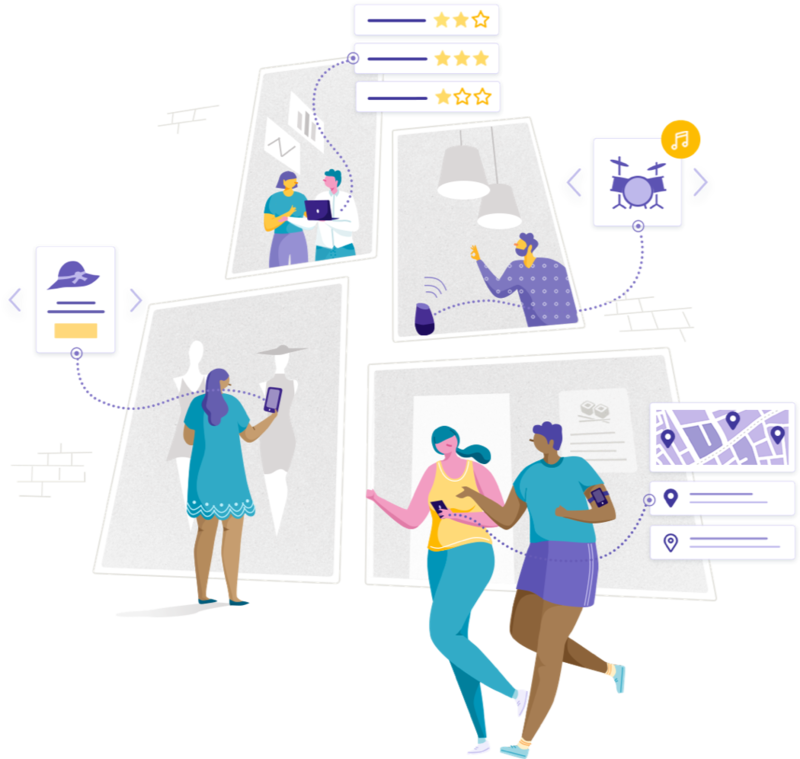 Botify is the first unified suite of applications to merge technical SEO, content, and real rankings. Build easily accessible websites for search engines with Botify’s world leading SEO crawler and log analyzer. Evaluate your content like a search engine and create a content marketing strategy that beats your competitors. Be there, and clicked, when customers are searching for you. Harness the power of real keyword rankings and CTR. Botify is the advanced version of Google Search Console. It empowers SEO teams to impact each stage of the organic search process. Join the New Standard in Organic Search Analytics. 500 enterprise companies have already adopted Botify to lead their SEO efforts. Case StudyAlways One Step Ahead. How media leader Refinery29 uses Botify to keep up with their constantly evolving site and Google rankings. Refinery29 is the fastest growing independent fashion and style website in the US. The site has 25 million monthly visitors and more than 175 million users across all platforms. 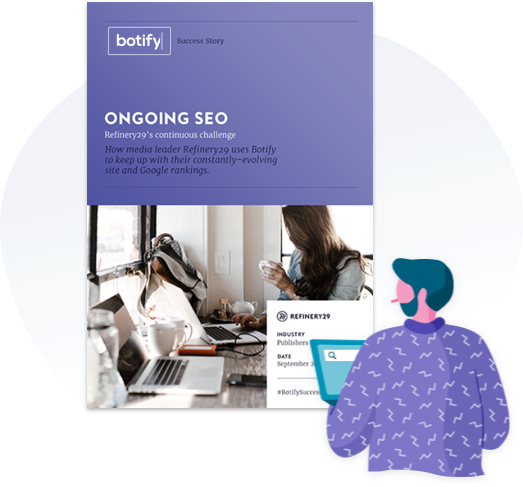 With the help of Botify’s unprecedented SEO insights, Refinery29 proactively optimized for search by identifying site changes and monitoring their impact, diagnosing site issues quickly and communicating them to the team. Find out how Refinery29 optimizes their ongoing SEO! Download the case study now. Search Moves Fast. So Do We. Subscribe to our newsletter! Watch our SEO experts dissect the latest industry news, emerging search trends, and all the killer optimizations that will put your search strategy over the top.